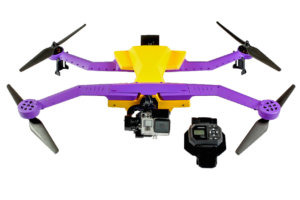 If you love a great piloting experience, then this amazing photo drone offers you such. Built with a 3-axis gyro stability system, 14 mega-pixel full HD camera and GPS system, the Parrot Bebop RC drone seems to have all it takes to give any gyrocopter user a great time. Built-in GPS makes flight control possible during high altitude flights and for automatic home coming functions. The shipment of this drone is however restricted as it can be shipped only within continental United States via Amazon. Solo is a breakthrough in intelligent flight. It’s not just smarter so that it can do more; it has been made smarter so that you have to do less. We’ve turned the Hollywood toolkit into software, and made it possible for everyone to experience an epic video, both behind and in front of the camera. Solo provides a best-of-breed flight experience and never seen before ease of use by tapping the processing power of twin Linux computers, technology that has enabled 3DR to make radical breakthroughs in autonomous flight and camera control. As the first drone designed with every aspect of the photographer’s experience in mind, Solo can define its own flight, freeing users to focus on getting the shot. 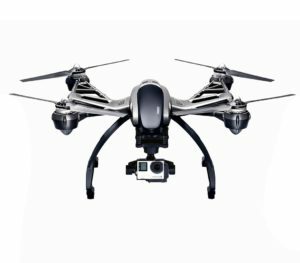 This intelligent quadcopter is also the first to support full control of GoPro cameras and deliver live-streaming HD video straight to mobile devices or through the controller’s HDMI port. 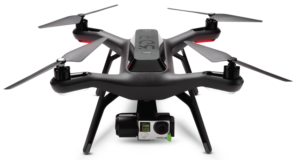 This drone which is designed for effective aerial photo and video can capture up to 1080p to 4K video modes. It also has hand-held SteadyGrip which is marvelous when used for video footage capture as well as a 3-axis precision gimbal camera. Other features can include CGO Steady grip, ST10+ ground station, set of propellers and a pair of batteries. If you love selfie videos, or drone effects then this quadcopter is definitely the one to look out for. All lovers of aerial photography will love and probably already know enough about the DJI Phantom 3 series of RC drones. Without experience, flying is still possible on the Phantom 3 series drones. They’re shipped in RTF kits and have GPS that constantly assists flights. Live photos and videos from the sky are also possible with this drone thanks to FPV. 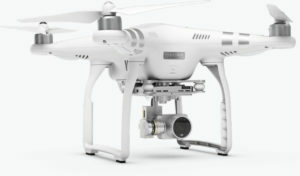 Needless to say, DJI Phantom 3 series is one of the most popular in the photography drones niche. Previous articleDrone with chainsaw – Octocopter goes wild!